CUESTARS Seniors Tour player Neil Carroll described it as the “result of my career”. 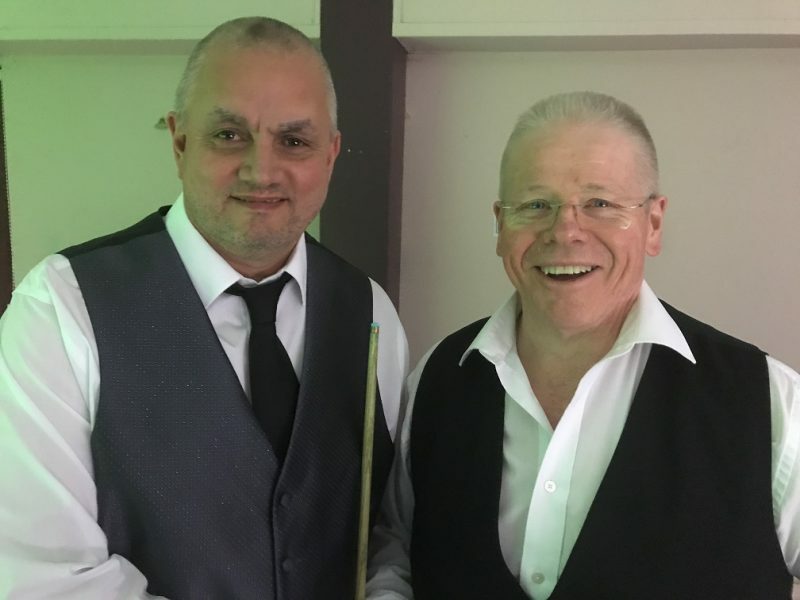 The 51-year-old from Southampton defeated an ex-professional in a qualifying tournament for the World Seniors Championship at The Crucible Sports & Social Club, Newbury. Following a 3-0 victory over home player Pat Patel, Carroll edged Les Dodd 3-2 on a re-spotted black in the second round. All matches on the World Seniors Tour that reach 2-2 are decided by a re-spotted black. A former world number 36, Dodd, 61, now runs a snooker club in Southport on Merseyside. Carroll then lost 3-0 to Matt Ford (Bracknell) in the quarter-finals. Ford, a two-time Cuestars Championship Tour winner, went on to beat ex-pro Barry Pinches 3-1 before losing 3-2 to English Masters Champion Jonathan Bagley (Leeds) in the final. Elsewhere, after offering to practice with Billy Castle when the pair met backstage during the European Masters in Belgium, former world champion Neil Robertson found himself drawn against the rookie professional in the first round of the English Open in Barnsley. The Thunder from Down Under prevailed 4-0 live on Eurosport on Tuesday evening. The previous day, Gold Tour player Jamie Wilson compiled a personal best 94 in a Portsmouth league cup match. The 13-year-old missed the final blue from tight on a middle pocket jaw in the first round of the Frank Wyatt Memorial Trophy handicap singles knockout. It came in the deciding frame of a 3-2 victory over Chad Wainwright, from Broad Oak Sports & Social Club, at Waterlooville Sports Bar. And two days before that, 11-year-old Oliver Sykes missed the yellow with the rest on a run of 80 against English Under-14 Champion Olly Gibbs in the Eastleigh & District Under-19 League at Chandlers Ford Snooker Club.